The USB-C Cable + Car Charger makes it easy to charge your USB-C smartphone or tablet in your car. 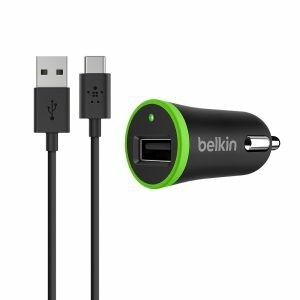 The six-foot USB-C cable and robust charger offer 2.1 Amp output for charging that’s up to 30% faster than 5 Watts. 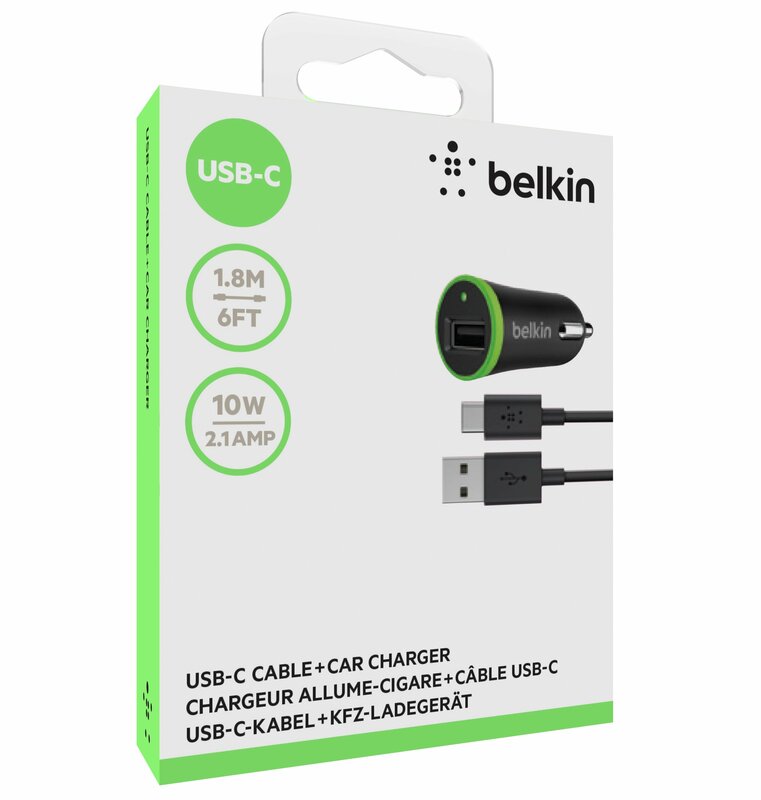 What’s more, the car charger’s USB-A port is universal so can be used with other cables to charge a variety of other devices, including smartphones, tablets, wearables or anything that charges via USB-A. The charger connects to your USB-C device using its USB-A port. This universal device-friendly port accepts other cable types so it’s easy to connect and charge other devices too. With 2.1 Amps available, use it to charge smartphones, tablets, wearables, or anything that connects via USB-A. 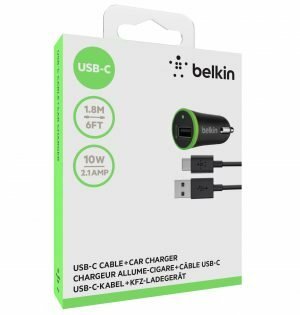 The sturdy, six-foot USB-C cable is perfect for in-car charging, reaching easily from the CLA outlet to anywhere in the car, even to passenger seats, or hidden power outlets. 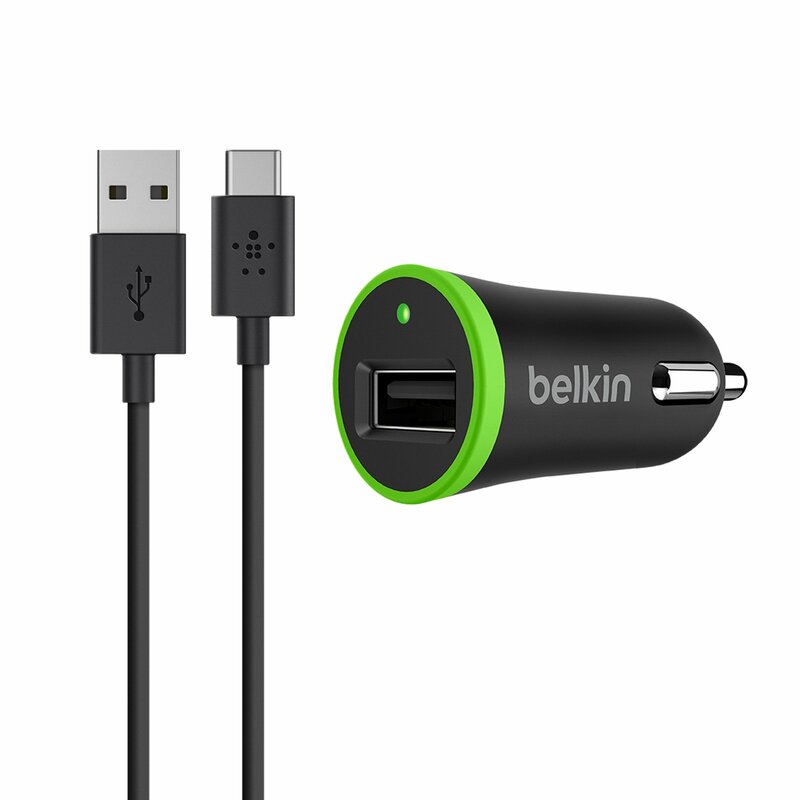 With the capacity to support charging up to 3 Amps, it can also be used to connect with other USB-A ports, such as an AC wall charger. What’s more, with data transfer support up to speeds of 480 Mbps, it’s ideal for connecting your USB-C device to a laptop or computer.